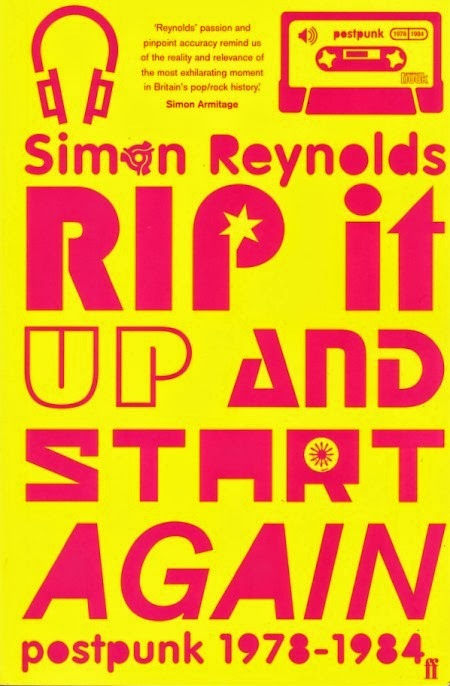 When I first heard about Rip It Up and Start Again in 2006, I knew this was a book for people like me. I'd been interested in post-punk bands for a few years by that point, mostly by virtue of alternative-oriented family members and friends. Bands like The Cure, Siouxsie & the Banshees, Joy Division, Echo & the Bunnymen, Depeche Mode, and Bauhaus existed in some sort of hidden substratum of my suburban, Midwestern environment, where these once-popular British bands had become obscure and mysterious, yet on the verge of revitalization and reissue campaigns. The book came at just the right moment as a wave of nostalgia for this kind of music was cresting. Oddly, though, the book barely spends any time at all on most of the aforementioned bands. In fact, if you really study the author, it becomes apparent that he doesn't even really like The Cure or the Banshees, and I'm not sure about Depeche Mode and Bauhaus, either. So what exactly is covered by the book? The answer to that question partially depends on what edition of the book you have, or better stated, if it was printed in the UK or the US. For some reason, the US edition is substantially shorter. Three chapters are completely removed, at least two others are substantially trimmed, the illustrations are missing, and the timeline, appendix, and bibliography are cut. If that's not enough, the cover was changed (for the worse) and the chapter sequence was reordered. The only thing that the US version has over the UK version is that the Mutant Disco chapter was rewritten from an oral history into an actual narrative – although the rewritten version has since been included in Reynolds' follow-up book, Totally Wired. The other thing I did differently this time was that I also read the online footnotes and discographies. They are welcome addenda and actually serve as excellent reading on their own. Both are less well edited and sometimes lack a degree of clarity or finesse, but they also provide a less structured place for additional details and elements that weren't given space in the primary text. Many artists and songs are only mentioned in these extra sections, and while there might not be many gems there, there is plenty for specialists to get excited about. 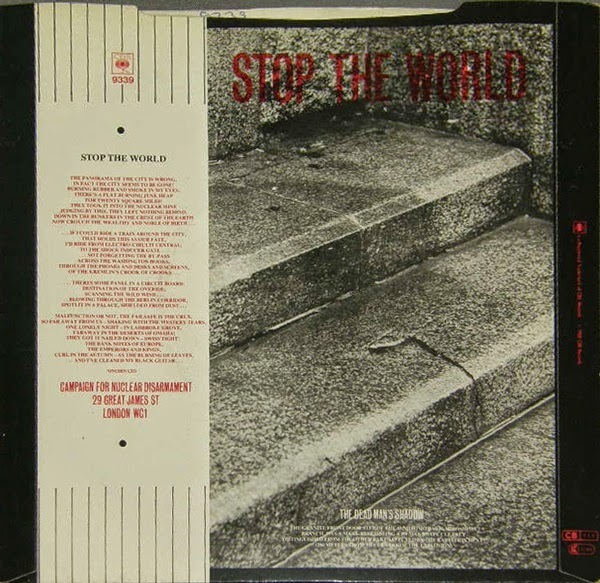 In particular, the Postpunk Esoterica includes small but important sections about the diverse international post-punk scene. The final subheading of the Esoterica is particularly interesting, an issue that perhaps should not be left to the very, very end to introduce: "Post-Punk or not Post-Punk". This is where Reynolds tries to distinguish New Wave from New Pop and post-punk. He does admit that the lines are blurred and there is room to argue. He even (finally!) gives space to several "borderline cases": XTC, Elvis Costello, The Police, Blondie, and The Psychedelic Furs, among others. I would argue some of these, but his stance is that those bands are too straight-pop or straight-rock and not actually notably influenced by punk. 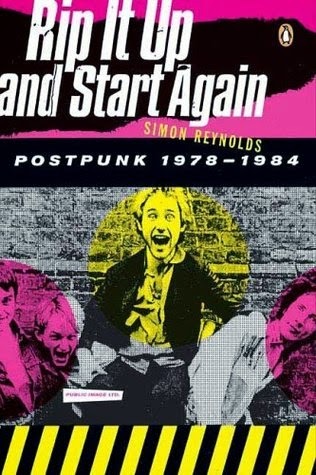 Since most of the book encourages the notion that post-punk is more about a set of ideas and ideals than any specific sound, it is notable that the author ultimately provides some (relatively) strict delineation in this section. One of Rip It Up's biggest selling points is just how many bands are featured. Reynolds does a great job of grouping artists together and discussing movements that might not have even been clearly defined as they happened. This also provides space for a few words about many smaller, easily overlooked bands. However, if one band steals the show, it's Public Image Limited. What better poster child for post-punk could there be than the biggest poster child of punk? John Lydon's post-Pistols band are given the entirety of two chapters, whereas no other band have the honor of even one complete chapter in their name. 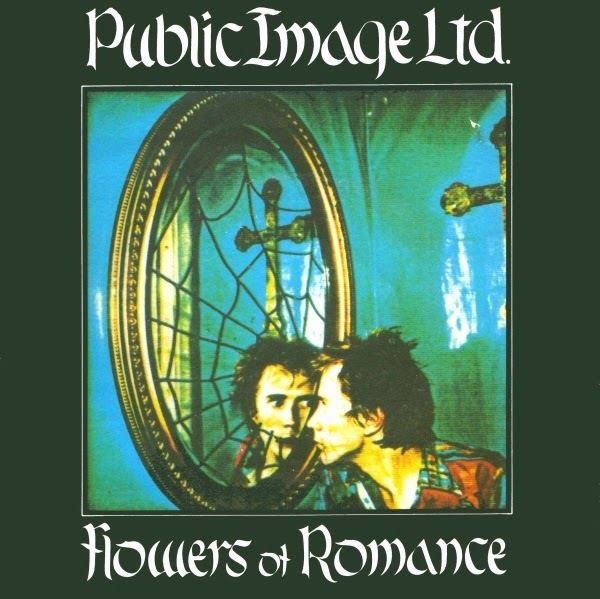 PiL's rise from punk's ashes, their opening of the floodgates, their brave new world of sound – they represent the ascent of post-punk like no other story. The band's disintegration and the wearing down of their spirit after just a few albums similarly echoes post-punk's fall from grace. Throughout the book, Reynolds rarely directly criticizes bands. It makes for a great read, because the book reads like a documentary, and the author comes across as very equitable but also very excited about every artist he mentions. Nonetheless, Reynolds does occasionally critique musicians when they deserve it (Gang of Four's occasionally contradictory masculinity, Siouxsie & the Banshees' questionable antics in their early days, et cetera). Furthermore, in related materials (such as the footnotes and discographies), the author is much more open about his honest opinions. For example, he appears to have a confusing distaste for goth bands in general, and he oddly downplays Au Pairs in favor of Gang of Four and Delta 5. While these opinions might be frustrating for a fan like me, it doesn't really tarnish the primary text. If there is one band that gets consistently maligned throughout the book and the accompanying texts, it's The Clash. Tom Robinson Band come in second, and perhaps Crass would be third. This seems to be in part because these bands overtly espoused political ideology in their music and image. Reynolds believes that this constitutes preaching, and apparently many bands of the time preferred to be more subtle. (ThePop Group would be a rather extreme exception.) I still don't understand why such deliberate politicism constitutes a fault, especially when U2's brand of preaching is not criticized at all. In fact, the Clash are something of a specter paralleling the post-punk timeline. 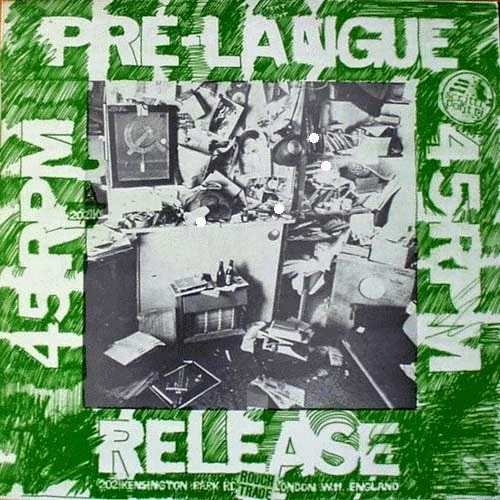 They haunt the book from start to finish – PiL's guitarist, Keith Levene, was an early member of The Clash, and the rest of the band consistently incorporated many of the same elements that post-punk absorbed, particularly with the adoption of dub and reggae influences. It would seem that The Clash's only substantial crime was a pseudo-macho guitar hero aesthetic, which, with hindsight, just seems like a gimmick or charade. 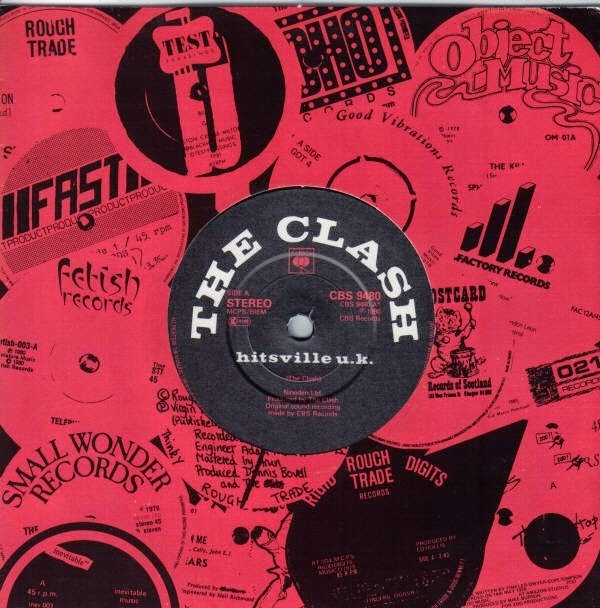 In the narrative of the book, the Clash are the representative "other", always doing whatever post-punks wanted to avoid, despite that in truth they had more in common than in opposition. I think I have Rip It Up and Start Again to blame for my affection for bands like Pere Ubu and Magazine, The Slits and The Pop Group, Wire and PiL, The Fall and Gang of Four, Young Marble Giants and The Raincoats. The scope of the book is perfect – it is broad, yet just detailed enough that the reader gets some reference points and recommendations of good songs and albums. So many bands are covered that the reader is almost certain to find something new and compelling. However, I also think I can blame the book for why it took me so long to ever appreciate The Clash. I guess every story is supposed to have a villain, but that might be the only major thing that bothered me about the book. For a work that is so inclusive at face value, it is odd to have such notable exclusions and enemies. I suppose the line had to be drawn somewhere, so this doesn't amount to any great criticism – and if that's the only thing I can think of that I didn't like about the book, then I have to admit that Reynolds achieved just about everything he could have wanted to.